Recommendation letters are a required part of the medical school application. A letter of recommendation (LOR) can vouch for an applicant’s communication skills, interpersonal skills, work ethic, dedication, and intellectual curiosity among other things. A good LOR should complement your AMCAS application and personal statement, and paint a picture of you as an individual beyond your GPA and MCAT score. The first step in getting a letter of recommendation is finding a mentor (doctors, supervisors, principal investigators, etc). “A mentor is a cheerleader; a mentor is a facilitator; a mentor is a motivator, and sometimes even a nudge. But, first and foremost, a mentor has your best interests at heart,” says one expert. Your mentors will often serve as your letter writers. How and when do I start working on getting LORs? To receive good LOR from someone, they must know you well and have no reservations of vouching for your abilities to be a future physician. Usually, strongly positive letters come from individuals that you have maintained a good relationship with for a decent amount of time. In this sense, you should start working towards your LORs from the moment you realize that you’re interested in pursuing medical school. Consider every professor and supervisors as a potential letter writer. At the same time, instead of fixating on getting LORs, focus on studying hard (you need good grades anyway, right? ), pursuing your academic/professional interests, and spending some time to know your professors and supervisors on an individual basis; if you are able to achieve these things, good LORs will simply be a side effect of these efforts. Be proactive about meeting people. Make sure to be involved in the college and local community. Don’t be afraid to reach out to research supervisors, bosses, and service project leaders. Even as a freshman, it doesn’t hurt to start building an extensive professional network. Show genuine interest in class. There is always more to learn, interesting questions to ask, and ways to refine your understanding of concepts. Ask your professors for help/clarification on assignments. Attend their office hours. If your professor is working on a research project that aligns with your interest, ask if they’re looking for some help. These tips are particularly applicable in large lecture courses, where there is rarely any time during class to interact with your professor on a one-on-one basis. Pursue a long-term shadowing experience. Find a physician that you can shadow more than once or twice. Having a positive LOR from a practicing physician is always helpful as they are undeniably familiar with the traits needed to survive medical school and beyond. Consider voicing your interest in medicine. Even if you are not entirely sure about medical school yet, it doesn’t hurt to let your professor or supervisor know that you’re thinking about it. This makes them aware that you may ask them for a LOR someday. Furthermore, they may even have tips or opportunities that they can provide you to help you shine even more as an applicant. How many letters do I need? Do they need to be from specific people? Science faculty = involved in basic sciences, such as biology, biochemistry, cell molecular biology, chemistry, organic chemistry, physics, etc. Each school has their own requirements for LORs and it is your responsibility to double-check that your letters fulfill these requirements, but obtaining these 3 letters should fulfill part of (if not all) the required letters for any school. Example: JABSOM requires only 2 letters, without designation as to who must write the letters. If you are involved in research (especially if you list it as an activity in your AMCAS), schools may want to see a letter from your research supervisor. If you are highly involved in any community service, student organizations, or other extra-curricular activities (even those that may not be directly medically-related), it may help to obtain a LOR from whoever supervises you for these activities. Medical schools are often interested in reading about applicants’ accomplishments and impact outside of academics. If you have maintained a job while in college, your employer is an excellent person to consider asking for a letter of recommendation. Even if your job was not medically related, your employer may be able to speak for your work ethic and professionalism. Physicians that you have shadowed and/or worked with and have a good long-term relationship with. Make sure they know you as an individual and prospective applicant; this is sometimes challenging as shadowing can sometimes be a very passive activity. You may also consider selecting your additional (non-required) letters of recommendation by looking at your three “most meaningful” work and activities. While this school of thought has its merits and pitfalls, it may give you a good idea of which persons may be good to ask for your additional letters. Kaplan’s video on “Who should write your medical school LOR?” discusses the range of people you can ask to write you a letter; it emphasizes that each of your letter writers may only know you in a certain context, but the combination of all your letters should paint an adequate picture of you as a whole. Some schools ask for a “committee letter” or “letter packet”. Do I need to worry about this? Committee Letter: A letter authored by a pre-health committee or pre-health advisor and intended to represent your institution’s evaluation of you. A Committee Letter may or may not include additional letters written in support of your application. This is sometimes called a Composite Letter. Letter Packet: A packet or set of letters assembled and distributed by your institution, often by the institution’s career center. A Letter Packet may include a cover sheet from your pre-health committee or advisor. However, unlike to a Committee Letter, a Letter Packet does not include an evaluative letter from your pre-health committee or advisor. Individual Letter: A letter written by, and representing, a single letter author. If you have already included an Individual Letter within either a Committee Letter or a Letter Packet, do not add a separate entry for that letter. Schools will usually request that you submit a committee letter OR a certain number of individual letters, as not all schools have a pre-health committee, and thus not all applicants may be able to provide a Committee Letter. If you are a student at UH Manoa, you must obtain Individual Letters; there is no need to worry about obtaining a Committee Letter as UH Manoa does not have a pre-health committee. Some examples of schools that recommend committee letters if your institution provides them include the University of Miami Health System and Emory University. Carnegie Mellon University provides an example of what a pre-health committee is like and what the process is like to request a committee letter. When should I ask my potential letter writer for a LOR? When are they due? As a professional courtesy, we suggest that you ask your potential letter writer for a LOR about 6-8 weeks (or at the very least 1 month) prior to your application deadlines. Your professors, supervisors, and other letter writers are busy and likely have other obligations and responsibilities, therefore you need to give them adequate time to write you a good letter. On the flip side, asking a prospective letter writer a week or two before a deadline does not only shows poor planning on your part, but also a lack of awareness of general etiquette. Most importantly, it may result in a hastily written, poor letter. However, also remember that letters can be uploaded and assigned to schools after you submit your primary application. They are more often requested as part of the secondary application process. This means that you can upload and assign letters to different schools AFTER you submit your initial primary applications. Each time you upload and assign a letter however, you must resubmit your primary application. Be sure to keep deadlines and LOR guidelines in mind for your different schools so you don’t miss any important requirements. We also know that AMCAS primary applications are not open for submission until early June, and transmission to and reviewing of application data by medical schools will not occur until late June to early July. Therefore, the earliest you could possibly receive an invitation to submit a secondary application. Therefore, the earliest you may need to submit LORs to a medical school is probably in early July. Since you want to give your LOR writers about 6-8 weeks to write your letter, you should ask your prospective letter writer for a LOR in early May, assuming you are ready to provide all your application-relevant materials (cover letter, CV, draft of personal statement, etc.) to your prospective letter writer if they agree to provide a LOR. However, recall that LORs are generally requested with the invitation to submit a secondary application. You do not need to submit all of your letters with your primary application. You can upload and assign more letters after you submit your primary application, as long as you meet the deadlines given by each school you apply to. Someone agreed to write a letter for me! How do I create and upload a letter of recommendation entry? What additional information should I give my writers? Create a letter of evaluation entry. Watch this tutorial on how to do it. Most importantly, you must send your letter writer a copy of your AMCAS Letter Request form (generated when you create a letter entry), which includes your AAMC ID and AMCAS Letter ID. NOTE: if you delete a letter entry for any reason, your letter ID changes and you must inform your letter writer of the new letter ID number (otherwise they will not be able to upload your letter). Letter writers may submit letters through the AMCAS Letter Writer Application, Interfolio, VirtualEvals, or by mail. Inform them that they may need to create an account. They will also need your AMCAS ID and Letter ID. Inform your letter writers if the medical schools you are applying to want an official letter head and signature within the letter. Match your letter to the correct medical schools. Watch this tutorial. Is it okay to ask for more letters than my schools require? Yes! While you can simply request for the minimum number of letters that you will need, remember that it is always better to be safe than sorry, especially if you haven’t confirmed your list of schools you will be applying to. We believe you should make sure you have your bases covered, and then some extra, if possible! You ask one of your long-term science professors for a science LOR. He happily agrees, although he’s also insanely busy. There’s only 1 week before your application deadlines and despite sending him multiple e-mail reminders, he still hasn’t written you that letter yet. One of your science letters is from your research laboratory supervisor, who also happens to be a basic science faculty member. Yet, one of the medical schools that you are applying to will not accept this as your “science” letter since they require the science letter to be written by a faculty member that you have taken a course from in the past. You find yourself scrambling to contact all your old science professors now. Furthermore, if you have extra letters in hand, this allows you to be more selective with which letters to send to schools. Some applicants will choose to send the same letters to every school. But if you are limited to a certain number of letters, having a pool of letters to choose from allows you to select the few that your values and goals align well with the school’s mission (e.g. focus on primary care, global health, helping the underserved, etc.). Is it possible to ask TOO many people for LORs? Is there such a thing as sending too many letters? We stick to our philosophy that it doesn’t hurt to have extra LORs in hand. With that being said, especially with LORs, it’s quality and not quantity. Having 3 glowingly-positive letters is way better than having 5 mediocre, neutral letters. Even when asking for those extra, “just-in-case” LORs, make sure you are asking individuals that you know will be able to speak favorably and strongly about you as an individual. Furthermore, when you are faced with having more LORs than you need, think carefully about which letters you would like to send a particular medical school. If you have 7 letters, you do not need to send all the LORs to every school you apply to; for each school, choose the set that you believe will do the best at showing why you are a good fit for their program. Generally speaking it shows bad judgment to send too many letters to your various schools. Depending on the school you are applying to, don’t expect them to read more than a absolute maximum or 5-6 letters. Even 6 may be considered “too much” for certain schools. Just do your research and choose your letters wisely. Sending 10 letters to each school for example shows poor judgment and selection on the part of the applicant. How do I make a letter entry, link letters to schools, and match a letter to my application? Also read through this AMCAS FAQ to understand how your author will get his/her letter to AMCAS. Is it ok to remind my letter writer about my submission deadline? Yes. It is perfectly fine to send your letter writers a gentle reminder. If you see them on a regular basis, you can remind them in person. If you don’t, send them an email. However, try not to nag your writer. Sending a reminder every week is excessive. You should have requested the letter at least a month in advance. If 3 weeks to a month passes by and you have not received any word from your writer, it would be acceptable to contact your letter writer. If your submission deadline is a week away or less and you have not received your letter, you can remind them once more. Take preventive measures: Ask more letter writers than you need in case one or two writers forget or run out of time. Ask early to give letter writers more than enough time to write your letter. Didn’t have your questions answered by our FAQ? In addition the FAQ given by the AAMC (link given above), Washington University in St. Louis also contains a great FAQ section. This Student Doctor Network Forum thread also has some good information. Request LORs from people who know you well. Obtain letters from those that can vouch for your academic and professional abilities. Become familiar with how LORs need to be sent/received, what they are used for, and things they should include. You need to make sure you are well-informed of the process to guide your letter writers in the right direction and answer any questions they may have about what you need to submit to medical schools. Ask for letters from a variety of people that can vouch for the different aspects of your ability/personality as an academic, professional, and clinician-to-be. It can be challenging to find one person that knows you well in all realms of your pre-med life (e.g. classes, research, extracurriculars, clinical), so take advantage of the fact that you can submit multiple letters to give admissions committees a full picture of who you are as an individual. Be thankful. It takes just a moment to let them know how much you appreciate their help. When you do ask them to write your LOR, write a thank you card once everything is done. Not only will it help maintain a positive relationship, but remember that they are taking time out of their busy schedule to help you pursue your dreams. Request a letter from a professor just because you earned an A in their class, or ask for a letter from a physician you shadowed just a few times. 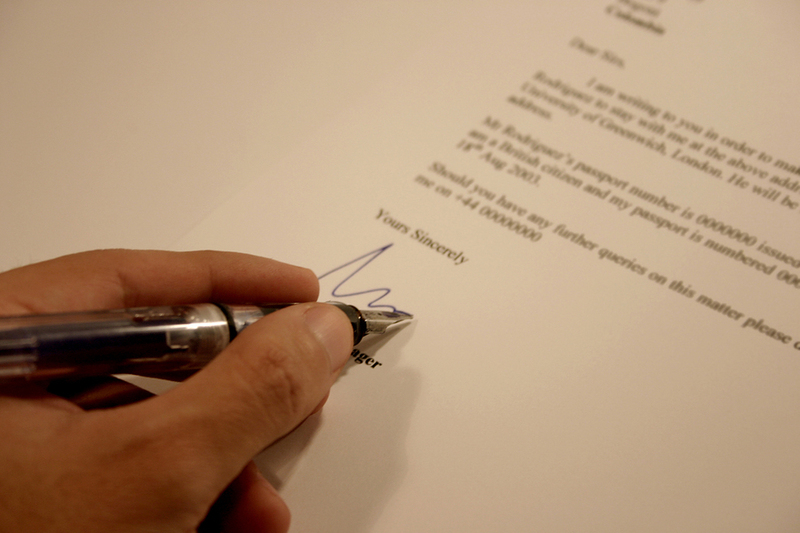 You need to make sure that your prospective letter writer knows you as an individual. Ask friends or family members to be your letter writers. Assume that your letter writer knows your deadlines and requirements. Limit yourself to the categories listed above. As long as you’ve fulfilled the minimum LOR requirements of a school, it doesn’t hurt to include a letter from anyone else that knows you very well and can say why you would be a good doctor (aside from friends and family). Ask for a letter from someone that seems hesitant or unsure of their ability to write a LOR for medical school. Not all faculty have experience with writing medical school LORs; while it is possible to provide them with some guidance, if you sense any hesitation on their end, don’t be afraid to find another writer that you know can adequately convey the characteristics and qualities that admissions committees will be expecting to see in a LOR. Feel discouraged if someone says they are not able to write you a good letter. They are doing you a favor as you don’t want anything less than a strongly positive LOR in your application.